Rental home cleanout mistakes. Too many landlords, property investors, and property management services have made them. And, these serve as great lessons for the future. Unfortunately, the wrong rental home cleanout mistakes can easily extend vacancy much longer than necessary. In the worst cases, such errors cause a whole lot of strife and frustration. But, it doesn’t have to really be this way. You can avoid the biggest rental home cleanout mistakes, if you know what to do in advance. Hire a Rental Home Cleanout Service or DIY? It’s a real conundrum. Should you hire a rental home cleanout service or do it yourself? Well, it really depends on the extent of the job. In more cases than not, it’s better to have a rental home cleanout service do the work. This way, you aren’t burdened by the hassle or have to commit the time and effort. Also, if you do go it on your own, you’ll need a way to haul all that junk away. Additionally, you’ll need a crew to help out. And, the right equipment. Not to mention, you’ll need to take all that stuff to the right locations for disposal or for recycling. Tossing the tenant’s personal stuff. Perhaps the biggest mistake rental property owners make is to clear out a space without any regard to the previous tenant’s rights. You must remember that there are laws which protect tenants and their personal possessions. Don’t toss that stuff because it could invite a lawsuit. Forgoing needed repairs and replacements. It’s tempting to rush through the process in order to fill the vacancy but that’s a big mistake. If you don’t make the necessary repairs and replacements, you’re simply sabotaging yourself. Clearing out the property too quickly to show it. 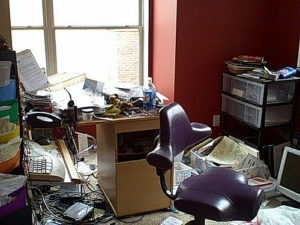 Another mistake along the same lines is to clear out the property in a hurry to show it to potential renters. But, haste does indeed make waste. Advertising it for rent before it’s actually ready to tour. You should also avoid advertising it before it’s actually ready to tour. Just wait because potential tenants who see it in the transition phase won’t be back again. When you need assistance with a rental home cleanout, just phone 800-433-1094 or visit Junk Garbage Removal.